“Oh little town of Bethlehem” goes the famous hymn. 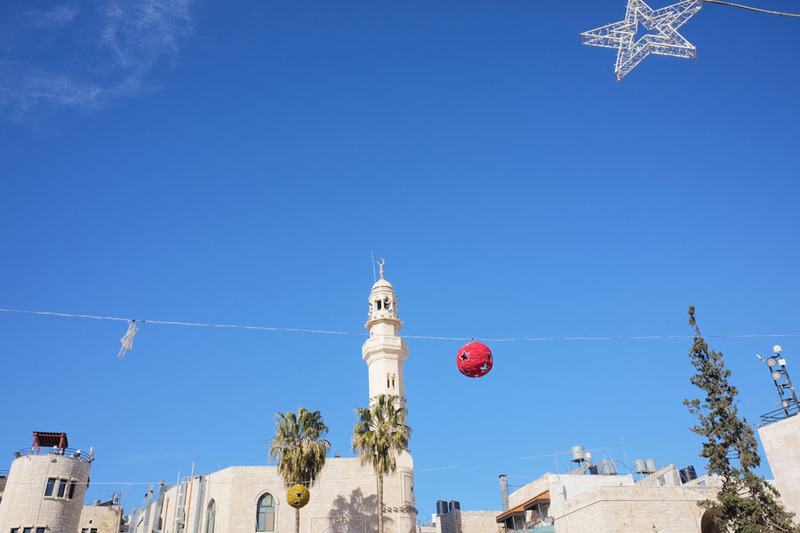 In fact, Bethlehem became kind of a mythological place. After all the nativity plays, songs, stories, images and scenic Christmas cards, people tend to imagine a tiny place with a few camels and huts and shepherds on their fields and a shed where Jesus was born after all. After my years of playing the Angel of Annunciation in our own nativity play (with such passion that I still remember the lines), I literally see the fields in front of me. And I mean, yeah, at that time, it was that kind of place with less than 1.000 inhabitants. Today, take this number times 30 and think of it as a full grown city. Heaps of houses, narrow cobbled and paved streets, shops, cars. Heaps of snap-addicted tourists running over each other’s feet in the attempt to keep up with their guides. An added bonus are the Banksy graffitis at different places in town (you’ll need to check where to find them though, they’re not easy to just stumble upon). But this is not going to be a political post. 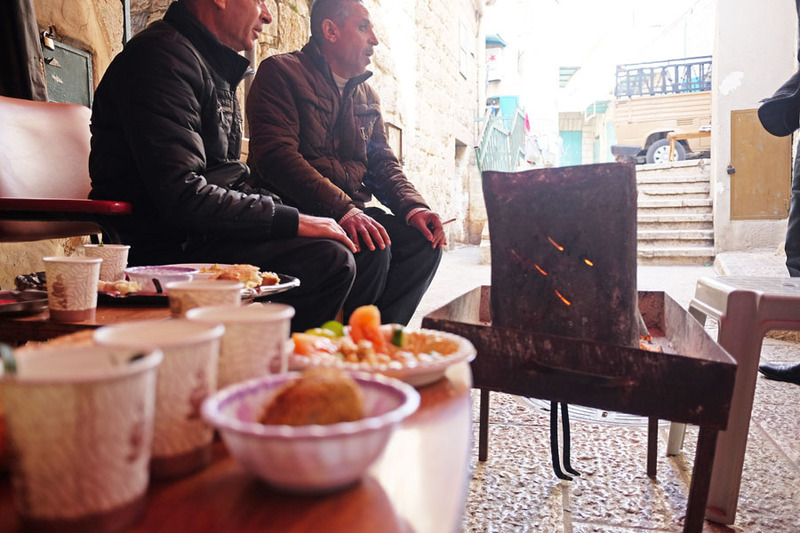 Its simply a fact having a big impact on Bethlehem, as it has no space to expand at all and the barrier is causing economical recession and increasing number of families forced to leave. Although the whole situation is known to be complicated, tourists are able to enter the territories relatively easily. The biggest part of which is the West Bank, including Bethlehem, and the Gaza Strip. To enter, you will have to cross an Israeli checkpoint, and while tourists are free to travel back and forth, have your passport ready for reentering Israel. Just before the checkpoint, the street will lead you past dubious glaring red signs warning Israeli citizens of life danger if they’re entering Palestine. And then there is this gigantic 8m high concrete wall, complete with barbed wire, watch towers, cameras and armed soldiers. But same as in Berlin, the wall is covered in plenty different colorful graffitis. Saying “Hugs and kisses, nothing lasts forever” and “Make hummus, not walls“. Oh, I agree! So, my group of five other travels of various nationalities and ages and I left our Israeli cabs (who had to drop us of before the border), passed the gates, and were picked up by our Palestinian guide. 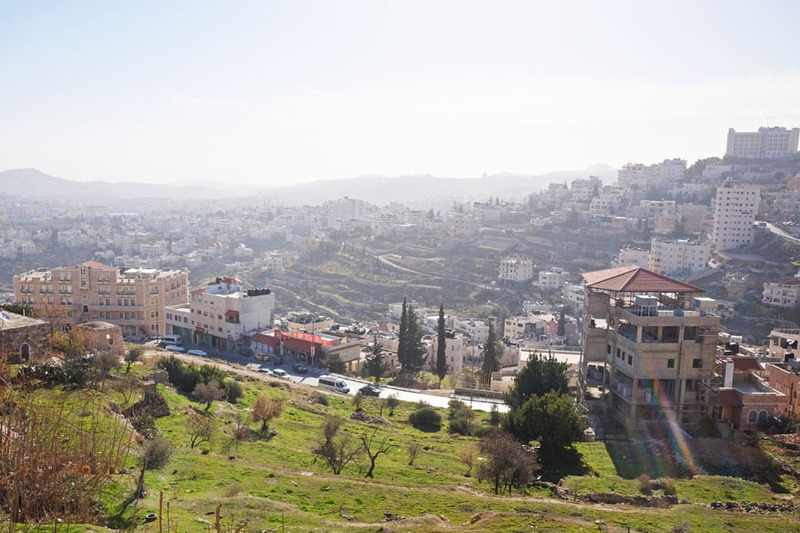 Bethlehem is part of an area called the Jerusalem Mountains, and thus you’ll notice the further you get towards the center, the higher the streets you have to climb. At some points they actually get so steep that I don’t know how any car could get up there without rolling backwards, and then at the same time so narrow that there are just millimeters between the vehicle and walls or people or market stalls. Most of the holy sites are today covered by churches, and even if you’re not religious, there is plenty to see and do. It’s world history you’re seeing here after all, and also from an archaeological point of view, Bethlehem is extremely interesting. Then, there is the lively old city with shops and bazaar, local art and performances to check out, opportunities for political education, as well as places to visit around town like the impressive Herodium. Narrow limestone streets lead you past exotic shopfronts and still do make you feel like in a different age, especially Star Street, believed to be the way that Mary and Joseph were going to the Nativity Grotto. Cardamom-spiced Arabic Coffee. It’s addictive. 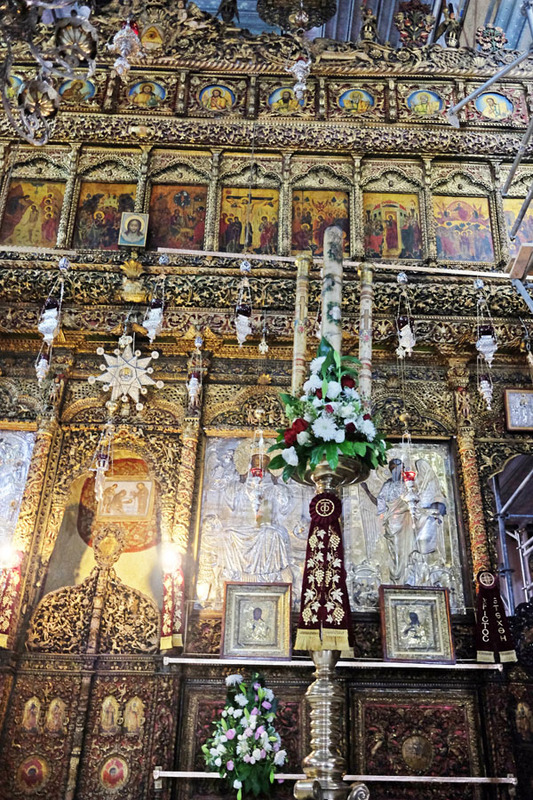 It is the oldest church in the world dating back to as far as 327 CE, commissioned by Emperor Constantine The Great. It represents a piece of history fought over by several groups. Resulting in having been split into 3 sections for the Greek Orthodox, Armenian Apostolic and Roman Catholic (known as “status quo”). For lanterns in the grotto for example, each clearly belongs to one of the three groups. Despite the major construction work going on since 2013 (and being the first significant restoration ever), I found the Church, which is a UNESCO World Heritage Site, to be a truly impressive and beautiful place. The entry to the church is pretty unusual, as it rather reminds of a cave-like opening, and forces everyone entering to bow down. Originally, the entrance was much larger, but to prevent attackers from riding in, it was repeatedly reduced in size. The church itself is pretty big and beautifully decorated. 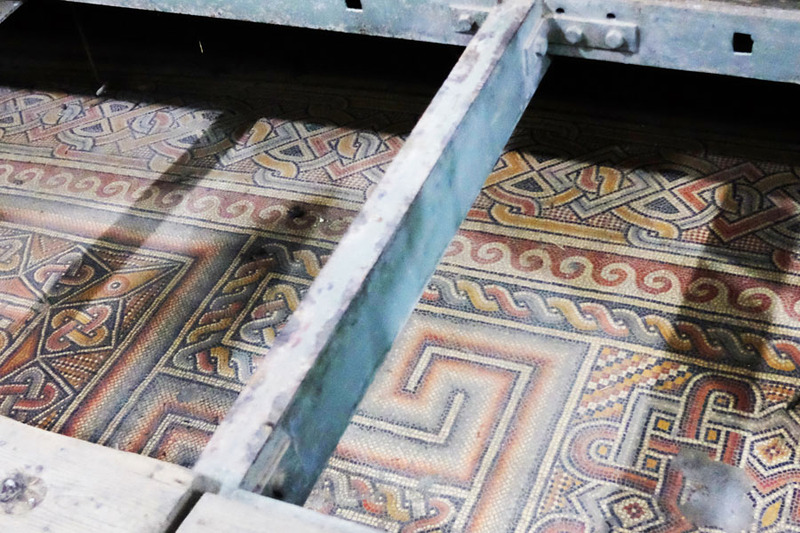 Only a month ago, the original mosaics on the walls were uncovered after long attempts of (successful) restoration – lucky us! Then, our tour guide showed us Constantine’s original 4th-century mosaic floor that is still intact (rediscovered just in 1934), and led the way to the Grotto. Did you know Jesus was born in a cave? 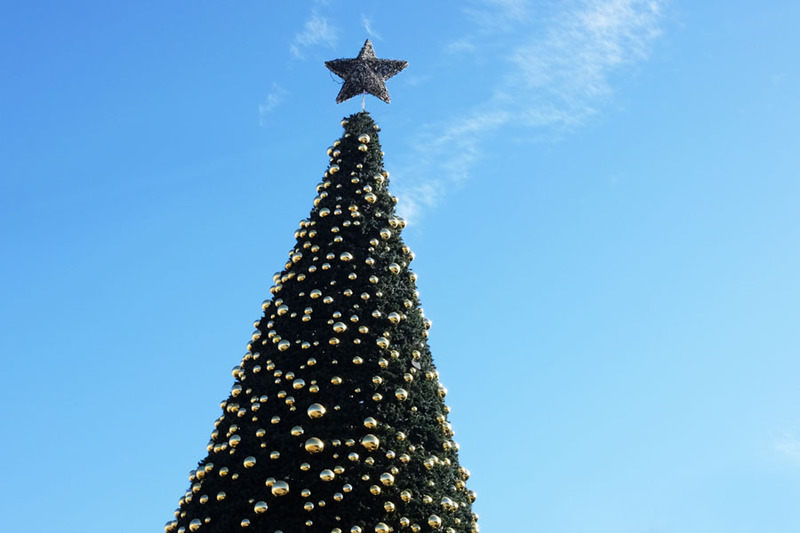 Contrary to the popular image of a shed… Of course many sources argue, whether the star really does mark the spot, but it is nonetheless an imposing symbol for the birthplace of Jesus. However, before entering you’ll be faced with the challenge of entering at all. I found January to be a good off season time to visit (although it’s rather cold), since otherwise you might be standing in line for up to an hour before entering the grotto at all. Try to focus on lunchtime midweek otherwise, which will ease the lines up a bit as well. In awe to be finally there, we descended the stairs after just 10 minutes of waiting. Just lantern-lit, the room was warm, different scents were wafting through the small place, devout individuals were kissing the sacred site, with a 14-pointed silver star (for the 14 generations in the line of Jesus) marking the spot, showing a Latin inscription saying ‘Here of the Virgin Mary Jesus Christ was born’. Just opposite, there is also an altar dedicated to the wise men, as well a manger, from where the shepherds watched. A big moment, an electric atmosphere, I felt overwhelmed by the significance of this major religious and historical site, regardless of which religion it relates to. 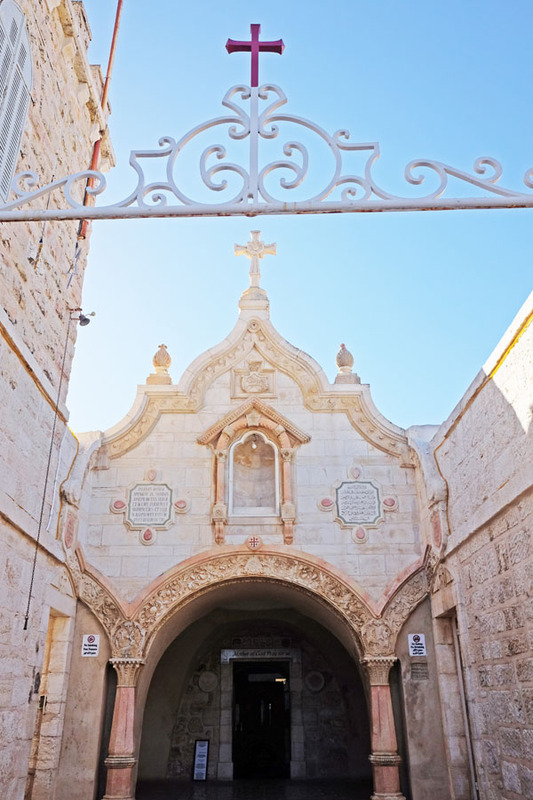 Just next to the church, there is an archway leading to the Monastery, home to a couple of monks servicing the Armenian community of Bethlehem. Right there you’ll find a statue of Saint Jerome, who had translated the Bible to Latin in the late 4th Century (becoming the Catholic Church’s officially Latin version of the Bible later). To his feet there is a skull that we was believed to have been lying on his desk, to remind him of his mortality and the need of finishing his job (taking him 23 years). Just a short walk from Manger Square, you’ll find the less known Milk Grotto Chapel. 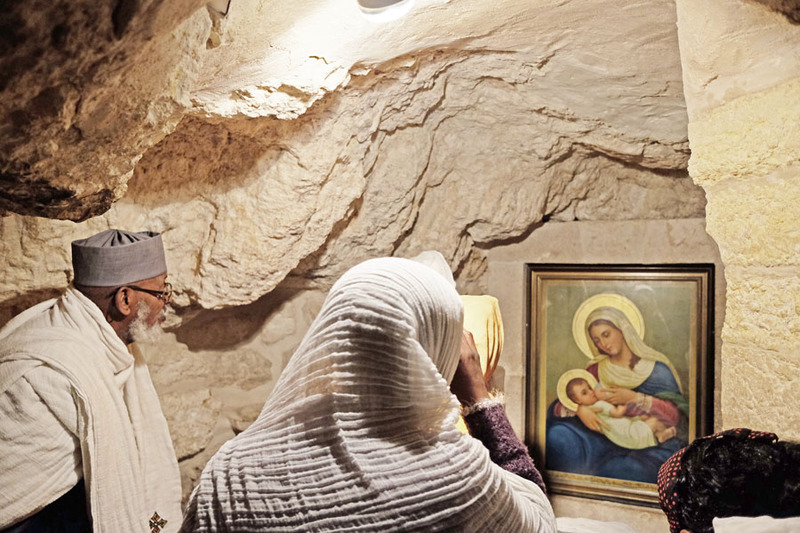 The cave inside is believed to have been a hiding and resting place for Mary, Joseph and their new-born son during their flight to Egypt. While Mary was breast-feeding her Child, a drop of milk is said to have touched the red rock, turning it white and chalky. In fact, this kind of stone is really unusual to find in the area, compared to the lime stone you normally see everywhere. If women swallow a bit of the powdery substance, it is said to enhance fertility and enable a mother to breast-feed. We felt very safe throughout our visit to Bethlehem and it presented itself as a very tourist friendly city. It was easy to get into and out of Bethlehem and the atmosphere was good during our visit. Obviously trouble does break out so it’s wise to follow the situation closely. 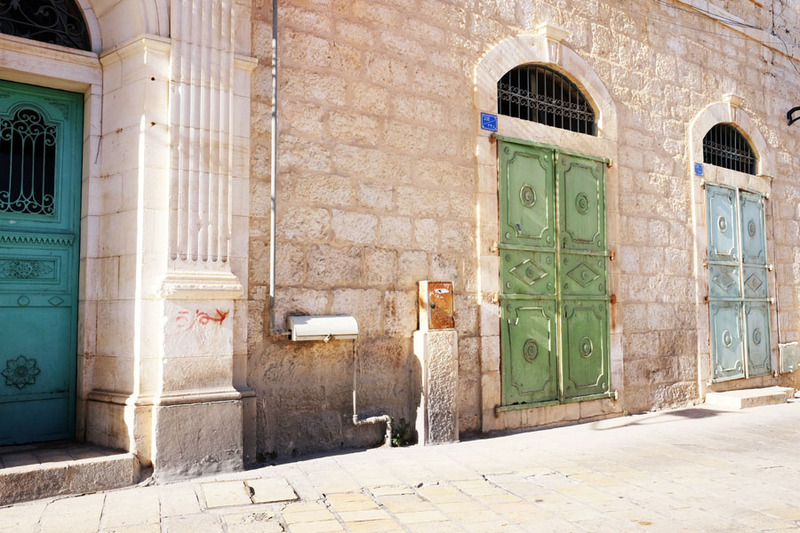 Take a tour: There are plenty of different day tours available from Jerusalem. 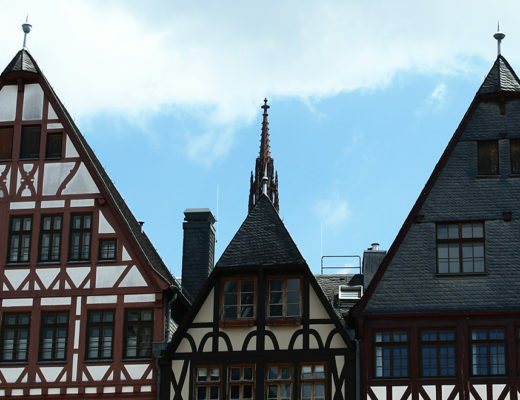 I took part in the half day trip from Abraham Tours and really enjoyed the trip! Individually by bus and taxi: You can take bus 21 from Damascus Gate, an Egged Bus from the central bus station or a taxi (be aware though, that Israeli drivers cannot bring you across the border). See here for further information. 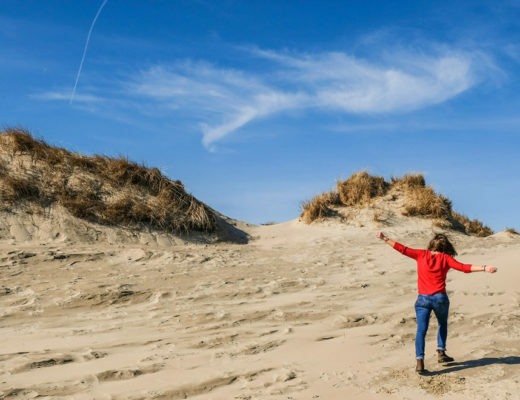 In total of course, the area has a lot more to offer, and the sites mentioned are those covered in a short half-day trip. See here for more places! 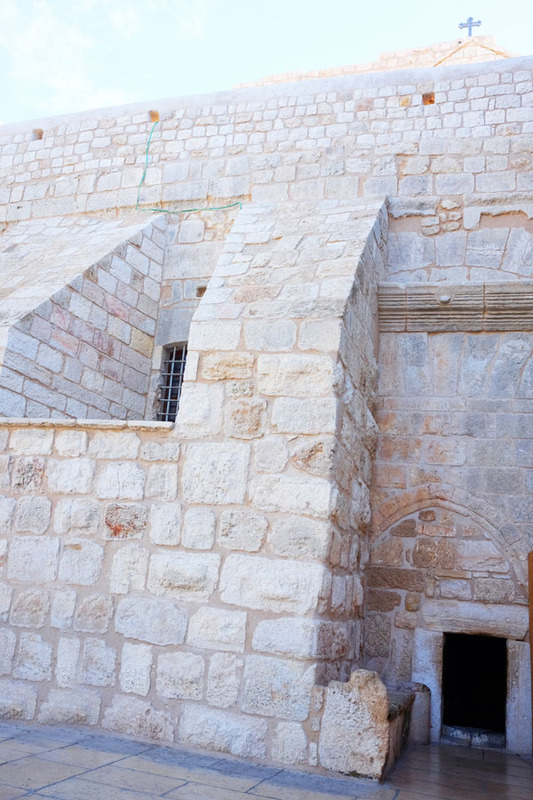 No wonder why every tourist treats Bethlehem so dearly because of their faith and culture. True! Bethlehem has surprised me definitely, and it’s beautiful how people from all over the world connect there. What a place with history, culture and so much. It kind of reminds me of Galle in Sri Lanka. Very similar story. 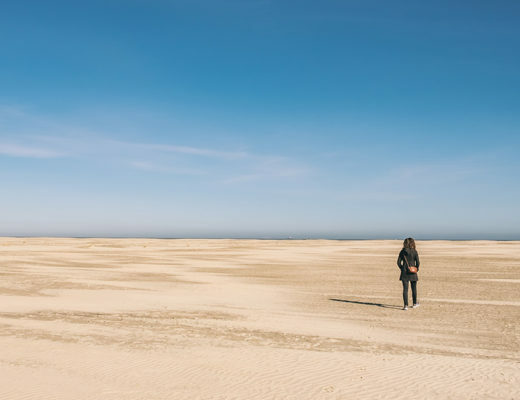 Can people go there without tour guides? I reckon it is harder that way. 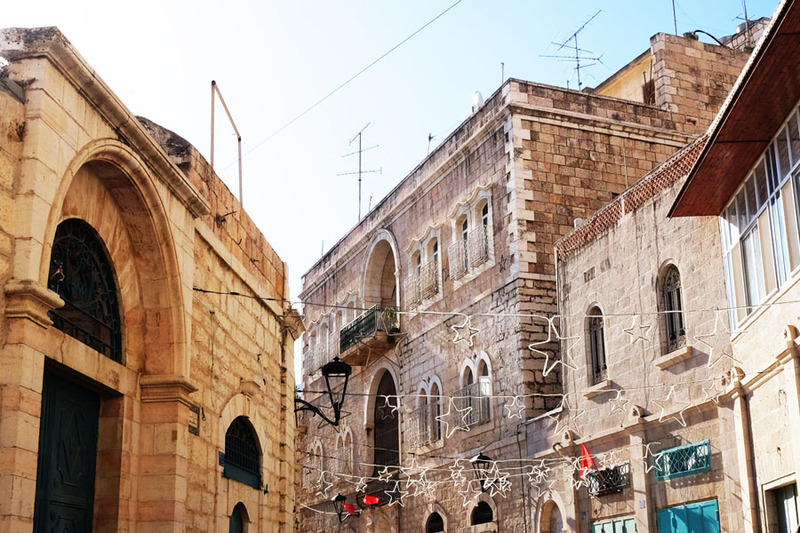 Yes they can, Bethlehem is no problem to visit as an individual tourist. There are public buses going regularly, and walking around in Bethlehem can be quite nice, too. 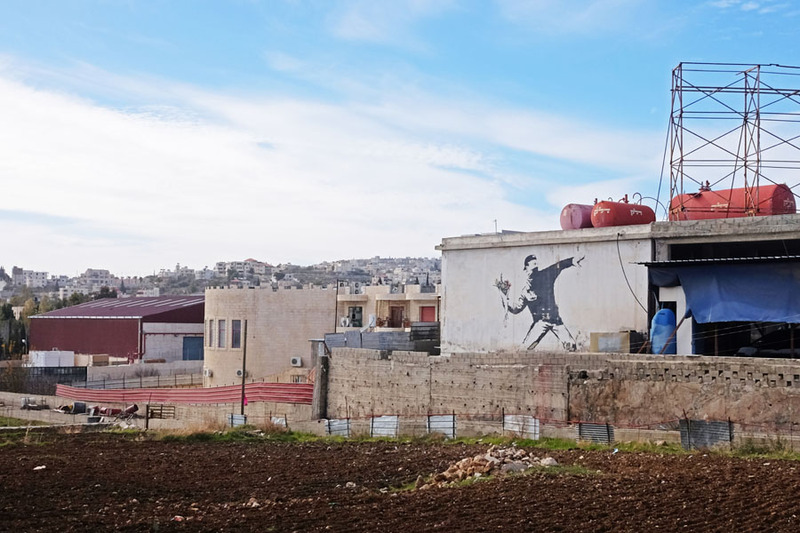 I’d just recommend a guide to provide you with all the amazing background information to the different places and also show you the Banksy graffitis if you’re interested. There are other places in West Bank that are harder to go individually, but usually no problem as long as you’re not Israeli of course. Such beautiful pictures of the churches and of the city. 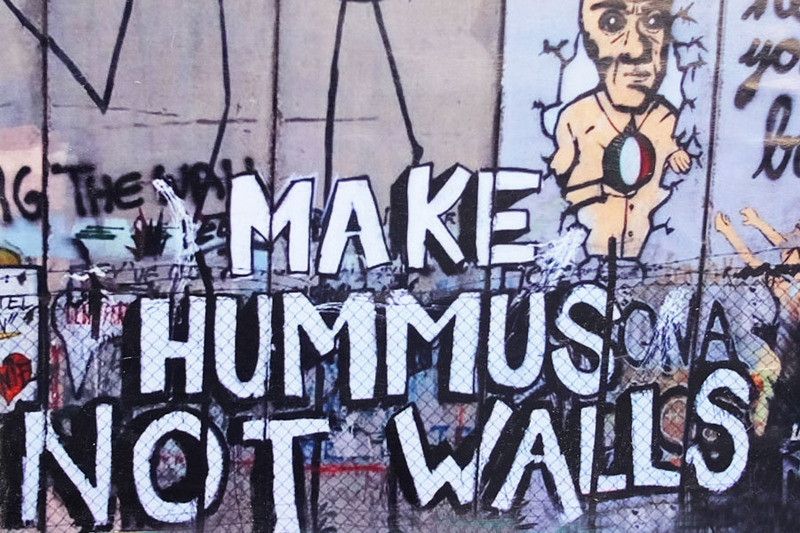 Loved the pic where it said, make hummus not walls. A beautiful and detailed write-up. The grafitti on the walls is also cute. Thanks for the feedback! I’m happy you enjoyed the post, it’s definitely a cool place to be! Wow – it definitely doesn’t look like I imagined it would but it still looks like an amazing place. I bet its a very spiritual and special place to be at Christmas time! I had never thought of going to Bethlehem but I am seriously putting it on my list of places now. Thank you for opening my eyes to it. I also love the graffiti on the walls, much like Berlin. I am fascinated by this place! I am not religious at all but would love to see this place. An interesting trip so thank you for sharing! Happy I could provide some inspiration and background info! 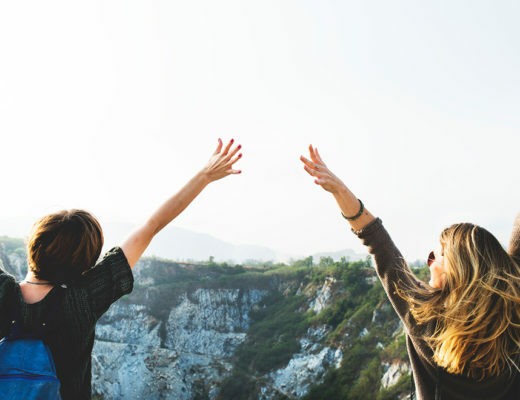 I totally agree, and I come across many people of different or no beliefs at all – and it’s wonderful how those differences actually make people, well at least among travelers, get closer by exploring and discussing together. 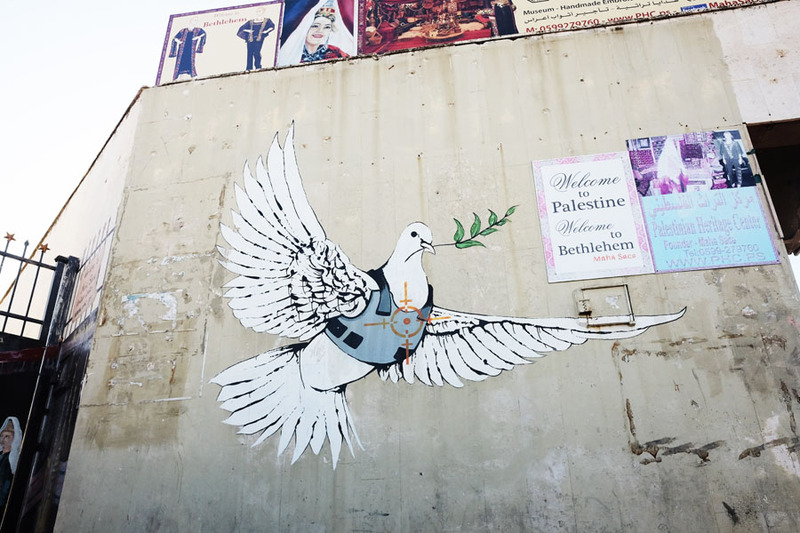 Fantastic post about Bethlehem! You’re right it’s such an incredible city and everyone should visit at least once. Israel is a majestic country and we felt very safe there as well. As with any place, just need to be cautious. I love your pictures!! Thank you for sharing and providing such great information about getting around. Oh I would love to see some Banksy street art! I’ve been wanting to go more and more to this part of the world. It must be quite an experience walking where Jesus himself once walked (or so they say) but I don’t think you need to be religious to appreciate the history of Bethlehem. Thanks for this detailed post. Esp., the part where you can move between Israel and Palestine as tourists. I’m a sucker for UNESCO sites and Israel is in my wishlist! So, thanks so much for this post. Happy I was able to give you some insights and inspiration! Make hummus not walls, I love that quote!! I’ve wanted to go to Jerusalem and Bethlehem for a while now, even going so far as booking a one-way ticket to Eilat (which I promptly cancelled on finding out how expensive things can get in Israel!). When I do eventually go it’ll be alone so it’s good to know that both you and Banksy consider it safe enough. It just looks so beautiful!! Well, depending on how long you go it can be affordable in different ways. Volunteering can cover accommodation and food (mostly starting from staying at least 4 weeks), or couchsurfing works quite well in Israel too, I find. 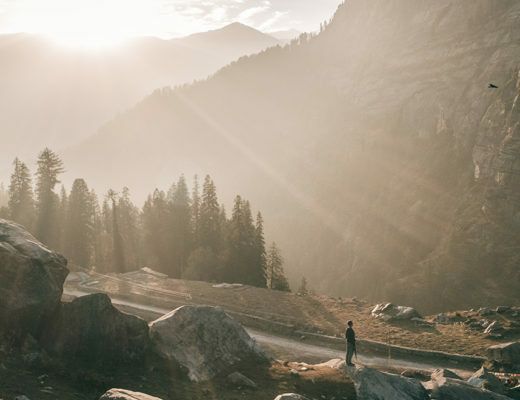 The matter is rather that one way tickets might cause you troubles when entering the country cause it’s rather suspicious to authorities that you might work illegally or overstay. 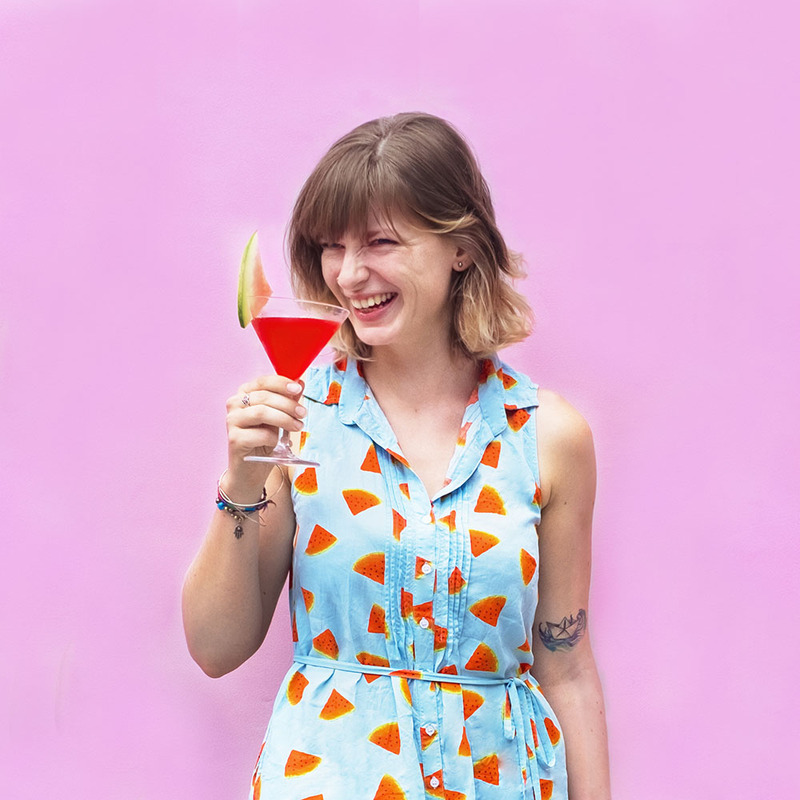 So if you come, get a refundable return ticket and takes your time, I’d say 🙂 Anyway, I’m coming along lots of (female) solo travelers and families, Israel is definitely a safe place to travel. 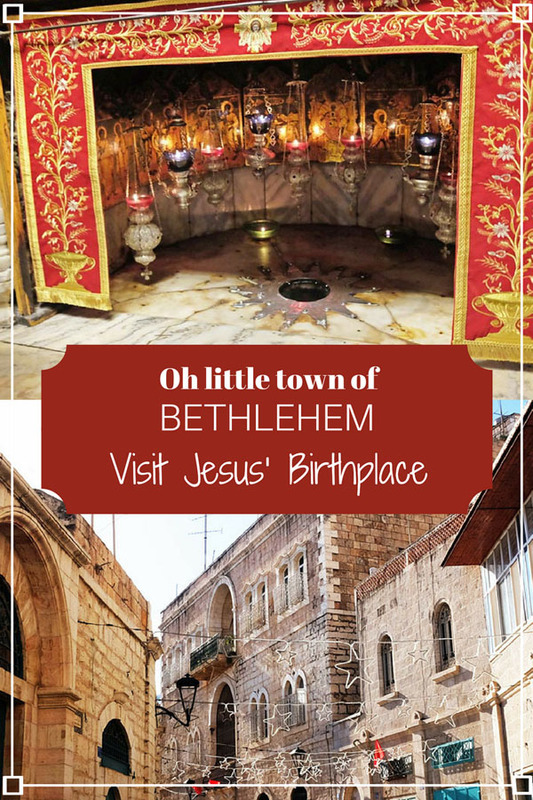 Bethlehem is a must see destination because Jesus was born there. I think I’d take a half day tour like you did from Jerusalem. I have a short break coming up, I may try get out there! Sounds great, I’m happy you’re interested! I think, Bethlehem can easily make for a full day tour as well, or even stay overnight and include surrounding places if interested, like the Herodium. I haven’t been, but it’s supposed to be quite impressive, and the history is captivating! I’m a catholic & it’s my dream to visit Bethlehem as well. But I live in the UAE, so I’m not very sure about how entering Israel would work. 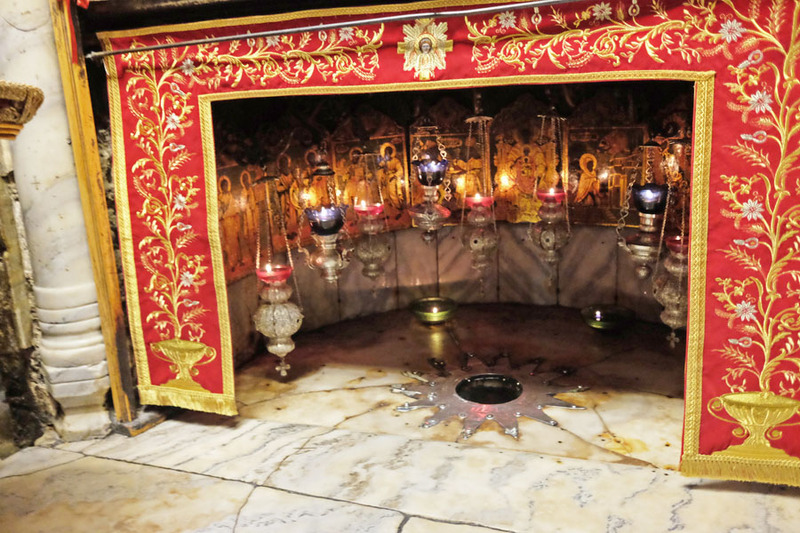 I definitely wanna see the birthplace of Jesus. . Hopefully someday. I hope you will get a chance sooner or later! Israel is such an amazing country to get to know, no matter what background you’re coming from. I’m sure there will be forums online that help regarding visa issues! What an amazing trip during Christmas! The history and culture is fascinating. I agree, made hummus, not walls and barb wire! Great to hear! You can’t really escape hummus here anyway, haha.